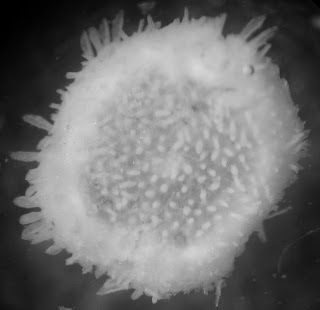 The Echinoblog: Xyloplax pt. 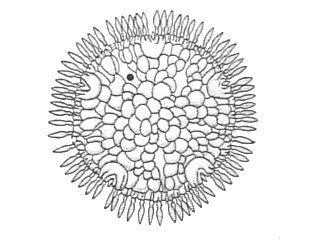 1: Echinoderm Weirdness Extreme! 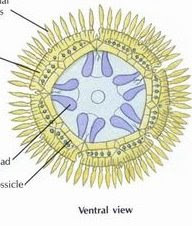 This week, I thought it would be fun to discuss one of the weirdest of the weird-the beasts that we consider odd EVEN for the weirdest phylum of animals: The Echinoderms! !....What beast dares to contend for this title??? 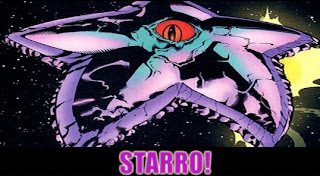 Starro??? The Star Conqueror??? (well..it would be cool if...) sadly..no!! Its The legendary Sea Daisy-Xyloplax (Concentricycloidea)!! 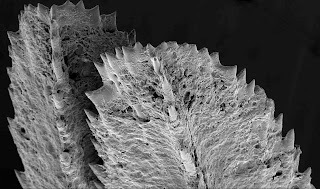 In 1986, 3 of world's most prominent echinoderm biologists, Alan Baker and Helen Clark from the National Museum of New Zealand and Frank Rowe from the Australian Museum in Sydney described a NEW beast that was truly stunning that it was published in Nature!! 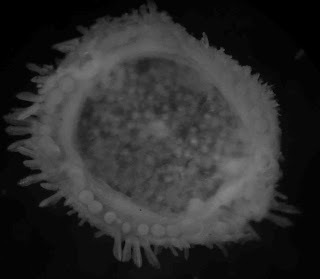 This new beast was placed into a new CLASS of living echinoderms! The first to be described since 1821!! Thus, it had parity with the other living "Big 5"..the Asteroidea, the Ophiuroidea, the Holothuroidea, the Echinoidea, and the Crinoidea. But why? What made it so distinctive? So interesting?? It was clearly an echinoderm but there were so many STRANGE things about it which were captivating! Its adult size is REALLY, really tiny! The radial water canals were arranged into concentric (i.e., one inside the other) rings (Note that It was here that the Class name "Concentricycloidea" was derived. From "concentric" alluding to the skeletal rings..and "cycloidea" for round body (or something thereabouts). The gut was nearly gone or absent. There was a ring of spines around the edge. Xyloplax intrigues us BECAUSE of this extreme body weirdness. 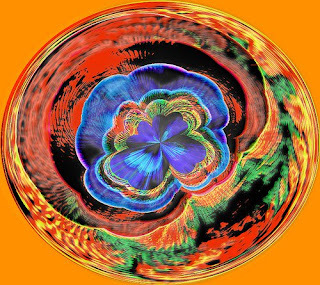 The morphological features are SO strange and warped and extreme that it has made the search for understanding the evolution and relationships a huge quest in its own right!! And that is where I will pick up later this week with Xyloplax pt. 2: Conundrums & Controversies! I iz fooling you all! I iz a starfish! LOL wow! That little guy is rather strange indeed.